Broadbents have been a destination for the fashion conscious ladies of Cheshire for over 100 years! Mr and Mrs Broadbent run hugely successful stores in Stockton Heath and Knutsford. Mr Broadbent has long been keen to make sure his website was an up to date reflection of his lovely shops as well as preparing to sell some of his more successful brands online. 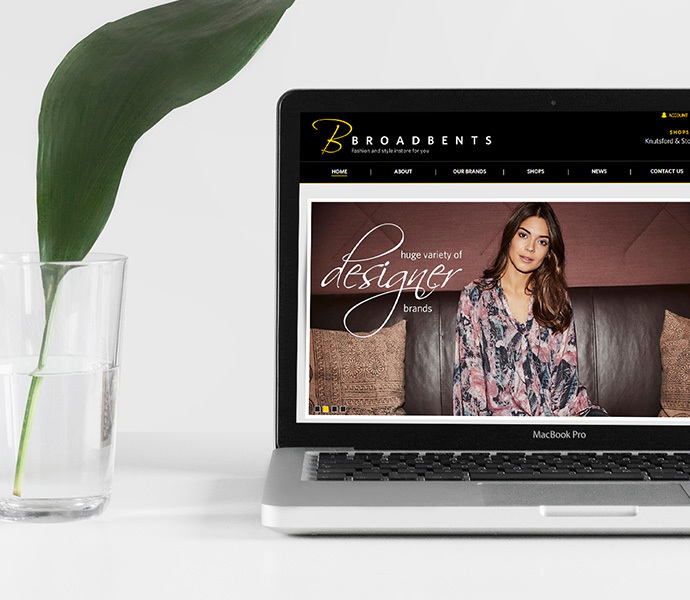 The stunning website we designed is on a full ecommerce platform and is ready to help Mr Broadbent take his business to the next level. The website links directly to his till system to ensure that all of his stock records are updated live when sold through either store, or on his ecommerce website. Not bad for a 100 year old business!